There are few feelings capable of leaving some as dejected as having a smartphone with less than 15 percent battery and a full day’s worth of activities ahead — be it an eight-hour work day or weekend outing with your friends. Considering the fact that 15 percent will likely drain itself completely before you even get to your desired location, you don’t simply want a portable charger, you need one. But who wants to spend upwards of $50 on a power bank from Radio Shack? 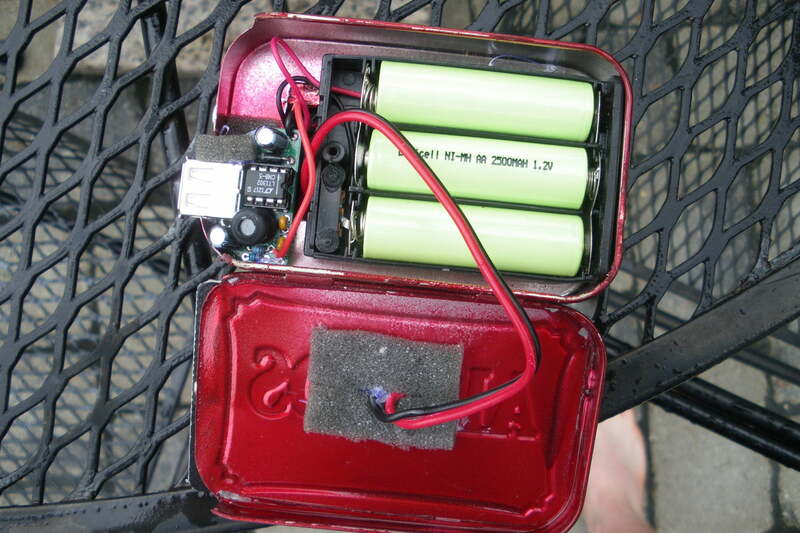 Certainly not Instructables user Sethaulton who devised an incredibly savvy method for assembling their own portable USB charger out of nothing more than a couple old Altoid tins and some small solar panels. Sethaulton’s finished product — a fully-functional USB charger with an additional power bank — is the best solution for not only keeping your phone charged throughout the day but doing so on the cheap. Now that you’ve assembled the necessary build list, it’s time to start building this innovative DIY solar charger. Simply follow Sethaulton’s step-by-step Instructables walkthrough and before long you’ll be the proud owner of an incredibly unique Altoids tin portable USB charger. Happy building!